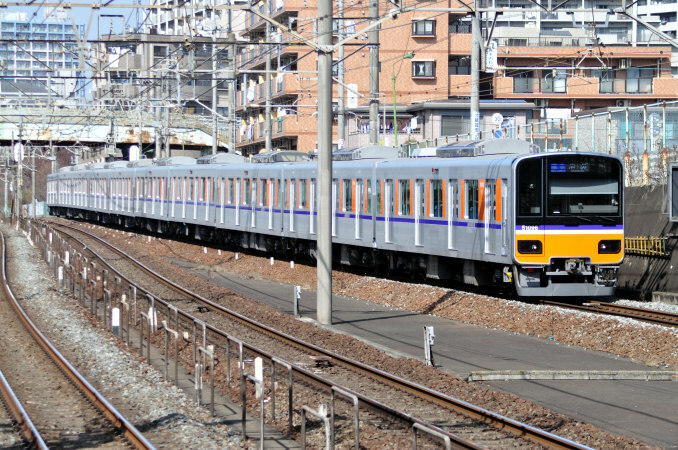 The 50000 Series a group of four-door commuter-type electric multiple units designed by Tobu Railways to become its new standard series of trains. All trains in this group are nearly identical in appearance. The first of these trains is the 50000 Series. With an aluminum body and bright orange face, the 50000 Series stands out when compared to the older designs that Tobu owns. Though the first of the 50000 Series lacked a front emergency door, all trains built after it have one. 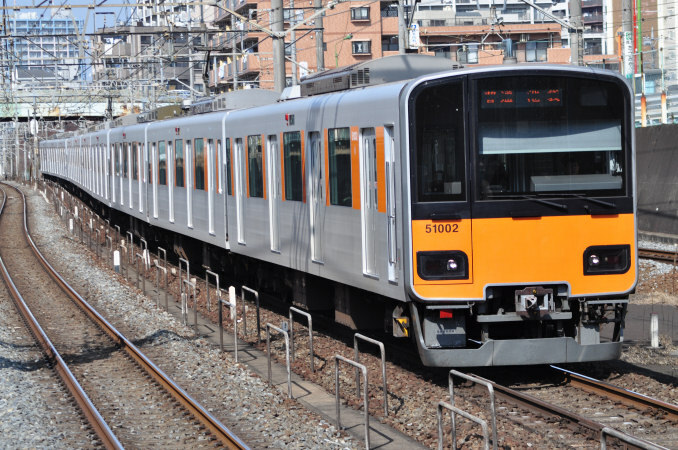 The second train is the 50050 Series, which is generally similar to the 50000 Series but is slightly narrower because it was designed to run in the underground section of the Tokyu Denentoshi and Tokyo Metro Hanzomon Lines. It also has the safety equipment required by both these companies. 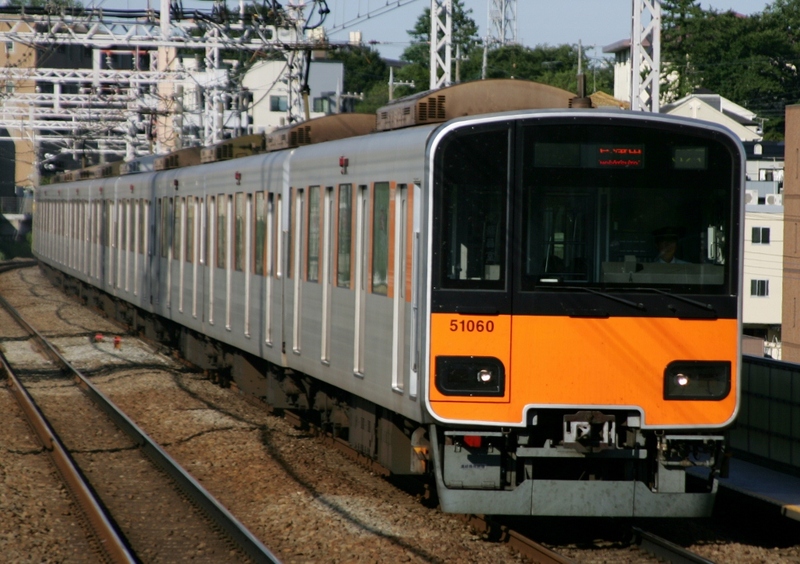 The 50070 Series was designed to run on the Tokyo Metro Yurakucho and Fukutoshin Lines and is almost identical in appearance but is equipped with an Automatic Train Operation (ATO) system which is used on the Fukutoshin Line. The 50090 Seris is the newest of the series at the moment and was designed to run as the "TJ Liner", a reserved seat train heading from Ikebukuro towards Kawagoe. It is equipped with cross-wise seating that can be switched to length-wise seating. It can be distinguished by the blue stripe on the side. 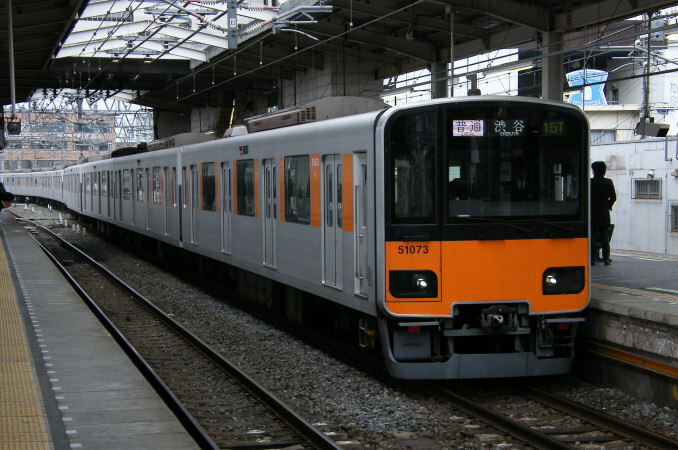 The 50000 Series was Tobu's first unpainted aluminum commuter train it had ever adopted.